Real food tastes better, costs less, and usually doesn't take any longer to make. Discover what you've been missing by cooking virtually everything your family eats from scratch. 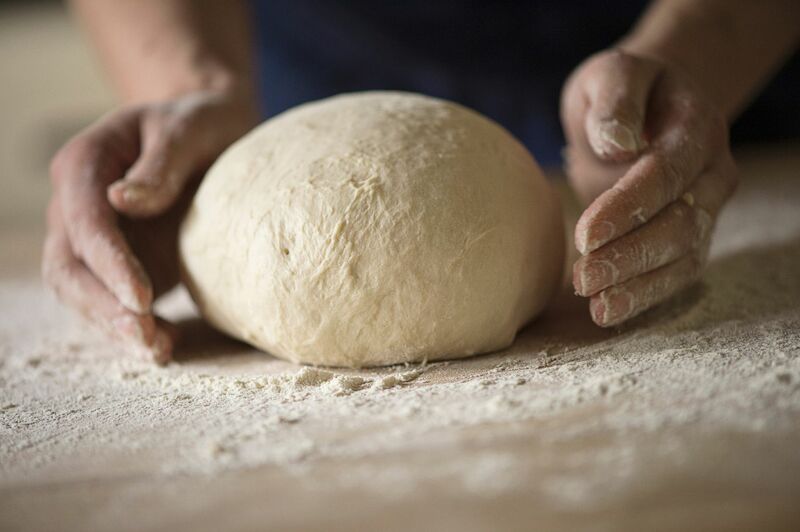 Keep flour, sugar, yeast and a few other ingredients on hand, and you'll have everything you need to make bread, pies and all other manner of baked-from-scratch treats. Learn how to make your own hamburger buns. Believe it or not, cheese, yogurt and sour cream are not difficult to make, and they're fun and satisfying to make, too. Just imagine having people compliment you on your sour cream or butter, and watching their faces when you announce that you made them yourself. To dry your own foods, it can help to have a dehydrator. Yes, the best dehydrators are expensive, but you'll find your dehydrator pays for itself once you've used it to preserve summer fruits and vegetables, make your own spices, and create foods like jerky and raisins. Buy your meat pre-cut, pre-formed or pre-cooked, and you're sure to pay a premium for it. It costs money to have someone else do all that work. But if you're willing to roll up your sleeves, you can produce family-sized portions of favorite meats, including hamburgers, chicken nuggets and even pepperoni, yourself from the raw materials. Canning is a great way to preserve the fruits (and vegetables) from the summer's harvest not to mention, and it can save you lots of money. Canning lets you buy green beans cheaply when your favorite farm stand has them by the bushel, and use them throughout the cold months when your local store is selling them at four times the price you paid. Canning also lets you make your own condiments, which can save you plenty (and allows you to use the best, freshest ingredients). Invest in some canning jars, and start making your own jams, pickles, and salsas. You can have your pantry filled in no time. If you're dropping $4 a day or so at your local coffee bar, it's time to start making your own beverages. Creating drinks from scratch is easier than you probably think, and before long, you'll be a skilled barista. Forget about frozen pies and packaged cookies. A homemade dessert wins every time. Snack foods like potato chips and pretzels may seem like they'd be difficult to make from scratch, but once you've mastered them, you'll never go back to store-bought versions. Have you looked at the ingredients lists of your favorite condiments and spice blends? You might think you're buying something made with tomatoes, when, in fact, the top ingredient is high-fructose corn syrup. The solution? Make your own.